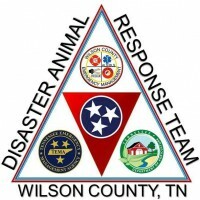 WC DART received call from WEMA, Nov 30 at 4:12 am a request from TEMA to assist with Disaster Animal Response in Sevier Co., in response to the wildfires which have overcome Gatlinburg, TN. Julie Hutchison, WC DART Coordinator, Susan Stafford , Jennifer Pearson , Kim Bradley, Paula Applegate and Nina Ground responded and departed for Gatlinburg. Stopping in at the LaConte Center , Bradley Co DART had the sheltering operations under control. We got to look in on the Bald Eagles from Dollywood who were seeking shelter there as well. It was then on to the Rocky Top Sportsplex where Hamilton Co DART welcomed our assistance. The Team assisted with Sheltering Operations, admitting, setting up, walking the dogs and offering support to their families. WC DART: STAND BY FOR FURTHER DEPLOYMENT REQUESTS, INTO NEXT WEEK! Gatlinburg. Hamilton County pulled out today from Rocky Top.. American Humane has the scene. Sullivan County took over the weekend so that Hamilton County could get some rest.